JK Rowling today (April 9) lit up the iconic Empire State Building in New York to mark the launch of Lumos USA as part of the NGO’s global mission to bring light to the lives of eight million children living in orphanages and institutions around the world. The world famous author came to America this week with the messages at the heart of Lumos’ work – that 80% of children in orphanages are not orphans but have been separated from their families due to poverty, disability, conflict and disasters; and that families are the best place for them to grow up. 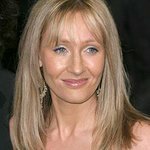 And in a bid to help shed light on this issue, has written a personal and thought-provoking article on the subject, which is available at www.jkrowling.com. Named after the light-giving spell in the Harry Potter books, Lumos is an international non-profit organization that helps countries reform their services for disadvantaged children, moving from systems based on residential institutions and orphanages that separate children from families to services which support them to stay together in the community. Lumos’ mission draws on decades of scientific evidence, including recently published work by Harvard University, showing that institutions have a negative impact on children’s physical, emotional and intellectual development by depriving them of the close, individual care and attention parents provide within a family. After a decade working with governments in Central and Eastern Europe to help them to close down State-run institutions for children and create new services that support vulnerable children stay with families, Lumos is now also working to address the use of largely privately-funded orphanages, which is increasing in many parts of the world. Lumos has recently begun to work in the Latin America and Caribbean region, focusing on Haiti, where more than 30,000 children live in orphanages, but at least 80% of them NOT orphans. Encouraging reform of the funding that supports orphanages is a key part of Lumos’ work. It has played an important role in influencing the way that European Union aid is now spent – to support community services for children and families, not to build or renovate institutions and orphanages. Lumos USA will build on this advocacy activity by working with US Government departments – including the US Agency for International Development – and bodies such as the World Bank to promote a similar funding principle. The right of children to live in families is one of the core principles of the US Government’s Action Plan on Children in Adversity. The United Nations is currently creating a set of post-2015 ‘Sustainable Development Goals’ (SDGs) – a set of aspirations and principles, which will influence how billions of dollars in aid are used around the world. Early drafts have stressed the importance of child health, development, education, and protection, but does not recognize that a family is the only effective way of providing those vital elements. In order to support Lumos’ campaign to draw attention to the omission of families within the SDGs, J.K. Rowling wrote privately in March to leading figures in the United Nations, urging them to recognize the vital role of families and include targets for a significant reduction of numbers of children outside family care in the SDGs. To celebrate the launch of Lumos Foundation USA, Lumos is raising funds to reunite children with families. For the next month, Lumos USA will run an online sweepstakes giving every eligible US resident who donates over $10, the opportunity to win one of four generously donated prizes: two signed copies of J.K. Rowling’s ‘Very Good Lives’ ; a VIP trip for four to Universal Orlando Resort to experience The Wizarding World of Harry Potter; and tickets to Comic Con in San Diego in July 2015. One hundred percent of all donations to Lumos go directly towards their projects on the ground. •	Two signed copies of the Very Good Lives book – the new release from Patron of Lumos USA J.K. Rowling, signed by the author herself. This brand new print version of her 2008 Harvard commencement speech deals with the issues of failure, and why imagination is so important, and contains anecdotes from the author’s own years as an undergraduate. •	A trip for four to Universal Orlando Resort to experience The Wizarding World of Harry Potter, including the newly opened Hogwarts Express and Diagon Alley, plus Hogsmeade. This trip of a lifetime includes 4 days’ park to park admission at Universal Studios and Islands of Adventure, an exclusive VIP tour of both parks plus early bird admission, for the complete VIP experience. This includes Business class flights if available for (4) people to Orlando from anywhere in the Continental U.S.
•	Two tickets and 3 nights accommodation to Comic-Con International in San Diego on 9-12 July 2015 where you can meet-and-greet with some of the top name artists, writers and visionaries who bring DC Entertainment comic books to life. For full terms and conditions visit www.wearelumos.org/get-invovled/lumos-usa-sweepstakes.